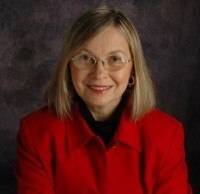 Gwen Meister has an MA in cultural anthropology and an MBA from the University of Nebraska-Lincoln. Her specialty is public folklore. Gwen served as folk arts coordinator for the Nebraska Arts Council from 1991 to1995. Gwen is passionate about ensuring a bright future for the traditions of Nebraska's unique variety of cultural groups. With help from other Nebraskans who recognized this need and with financial support from the Nebraska Arts Council, Humanities Nebraska and the National Endowment for the Arts, Gwen founded the Nebraska Folklife Network in 2003.